The process of adopting can be tedious and long. It is often difficult to keep yourself and your spouse motivated during this long ordeal. Here are some helpful tips for staying motivated during your adoptive experience. Making connections with other adoptive parents provide vital support during your adoption process. You can connect online or in person. 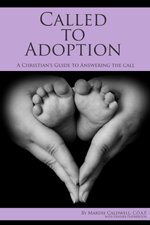 There are hundreds of groups around the country focused on supporting parents in their adoption journey. Find a group close to you or online and start talking with people who can empathize what you are going through. Find other people around you that you can discuss your adoption process with. Sometimes your family and friends might seem like they are getting tired of hearing about your adoption, but most likely they are not. Good friends will listen until you are blue in the face. If you are feeling uncomfortable about continually going to the same friends to talk about your adoption, find a group of adoptive mothers or another type of support group. It may seem silly, but we all like to see our progress on a chart. You don’t need to make it with little stars that say “Good Job” or “Way to go.” Just make yourself a chart of all the steps necessary for reaching your goal of adopting. Then as you complete each step, you will be able to see tangible evidence that you are progressing toward your goal. Before you know it, you will be holding your own beautiful child in your arms. Now this one is the fun one. You have made the chart and are working hard to complete each step necessary to attain your dream of being a parent. As you complete each of your steps, reward yourself and your spouse. Perhaps you decide that after each step you are going to go out to a romantic dinner, or maybe buy a dress you have wanted for a long time. It doesn’t matter what you choose as your reward, just find something that is going to keep you motivated. It can be very hard to have fun when you want something so badly. You need to have a sense of humor when you become a parent so now is a good time to start! Have fun and enjoy the process. You will look back on it with fond memories. Cherish this time you have while waiting and anticipating the new addition to your family. Before you know it, you will be up in the middle of the night changing diapers and smelling the poopy rewards of all your hard work! Staying motivated may not easy and can take a constant effort on your part. Keep these tips in mind when your motivation starts to slip and remember that your hard work will be rewarded generously! Mardie Caldwell, C.O.A.P. (Certified Open Adoption Practitioner) is an adoptive mother, adoption expert, and author of a number of adoption books. Mardie is also the talk show host of Let's Talk Adoption.com with Mardie Caldwell and the founder of Lifetime Adoption in 1986. She travels and speaks nationwide on adoption topics, family topics, infertility and writing. She has been quoted in and consulted for Parenting and Adoption magazines and has appeared on CNN, CBS, ABC, BBC, NBC, and Fox. Featured in Parade Magazine, Caldwell is an adoptive mother living in Northern California.